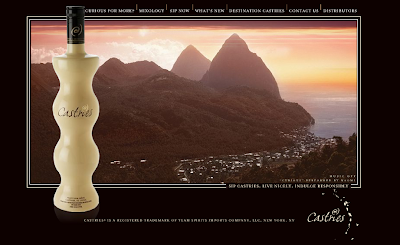 Castries Cream is a liqueur mix of Madagascan vanilla, roasted peanuts, spices, cream and St. Lucian rum. It’s packaged in a very unique bottle and is the first spirit from St. Lucia to become available in the United States. It comes very highly rated - it received a 94 from the Beverage Tasting Institute and 2-time winner of BIT’s Best Cream Liqueur category, received a Gold Medal and 95 points in the 2004 International Review of Spirits.